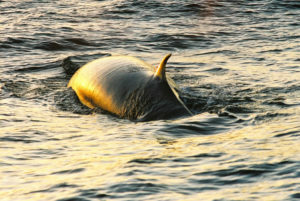 If you google Hermanus what is sure to be top ranking is whales! The town is synonymous with whales & whale watching, be it from land or boat. The town prides itself as a whale hotspot and every local knows the Southern Right Whale & will have a story to tell of the day they drove to work and whales were Breaching, or they sat at one of the many seafront restaurants and watched whales frolicking in the bay for hours, or even some more perhaps exaggerated stories. A slightly misleading perception is that whales are only in our waters from June – December, everyone overlooks the huge and varied spectrum of marine life that is showcased year-round in this beautiful town. As a general rule, early December sees the last few Southern Right Whales leave our shores for their annual migration South, heading to their feeding grounds in Sub Antarctic waters, but as our attention deviates from looking for the big tails, at times up to 6m wide, the ‘V shaped blows’ or large mating groups of Southern Right Whales, we start looking for the lesser known, slightly more elusive Brydes whales. 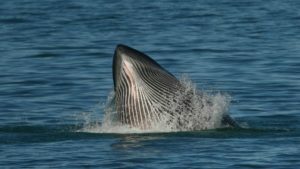 Although much more slender and lean than the right whales, and thus more in a light weight category of its larger cousins, Brydes whales still make for exhilarating viewing. These guys are found in coastal waters year-round, following shoaling fish up and down the coast. During the world-famous Sardine Run, these guys are having a feast! They are the largest predator of the Sardine run, wiping out entire shoals of fish in one go, and here’s the best bit…..They do exactly the same down here, in Hermanus too! Regularly we are able to witness them breaking the surface, mouths wide open as they take their catch, or swimming around shoals of fish before lining up for an underwater attack. Each has their own personality, and although a little shy, curiosity will get the better of them in most instances as they come to watch us, as we watch them! While out on the water in Walker Bay, there is a huge variety of marine life to be seen, from huge pods of dolphins, to lesser known dolphin species that are becoming a more frequent sight, sunfish, bird life, seals, penguins and even some sharks if we are lucky! 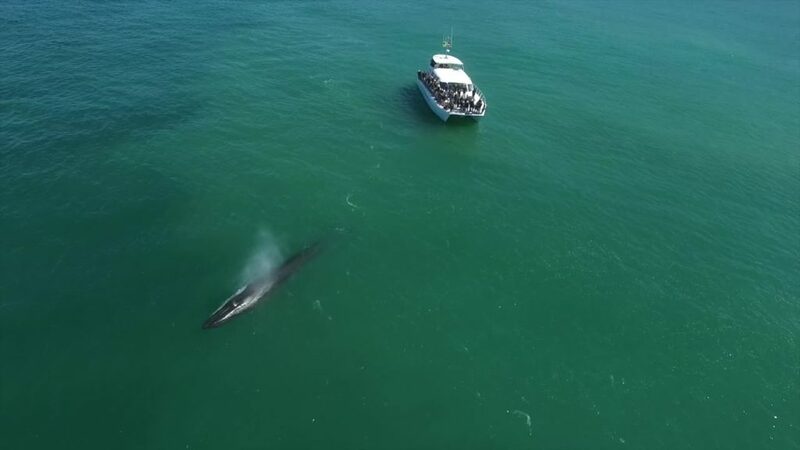 Our summer cruises have so far had 100% sightings success of whales, and one thing is for sure, the big blue Atlantic Ocean is full of life, offering some surprises in the Cape area in the past couple of weeks, we have come across mass pods of Humpback whales, Southern Right Whales spotted in February & False Killer whales, to name a few. Its summer time, the cool ocean breeze awaits, so get the sunscreen bring the family and let’s go see what’s out in the bay today!